In a New York State of Mind…. 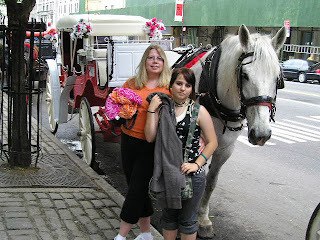 It was a year ago this month that my daughter Caroline and I went to NYC with my friend Laura and her daughter, Kristin. The time flies amazingly fast, and our trip is all but a memory now, but what a memory! I long for the time I can go back and see more…it may be a while before I can return. I’m trying to make it once a year and the next time I go, I will have to take my son Scott. I promised I’d take him next. Caroline was my travelling partner on this one and my oldest son, Dave, accompanied me on my very first trip. I figure with 3 more kids to take individually, I know I have several more trips ahead of me! The photos are self explanatory and they do stand out in my memory. The fashion district is marked by that huge button and needle….very prominent in my mind, being a person who loves to sew and create things out of fabric. This must be the worlds biggest needle and button! We didn’t get to the Ed Sullivan theatre–no tickets, but we were suprised by just meandering around the city, we ended up right in front of it! 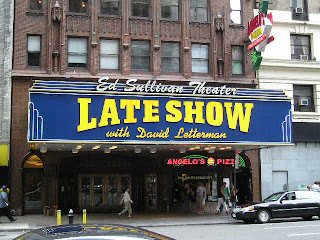 I had always wondered where the David Letterman Show was located and BOOM! we ran right into the place. 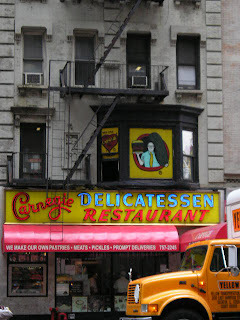 We had lunch that day at the Carnegie Deli, highly recommended by my father in law, Ed. He said they have the best corned beef sandwiches in Manhattan and he was right….but they are also the most expensive! $12 for a 5″ thick sandwich! Those baby’s are unbelievably yummy, too! The crappy part–because the place is so popular, they do not allow people who are dining together to share one massive sandwich. There is a $12 minimum per person to sit in a seat in that restaurant! If you don’t feel hungry and just feel like coffee, don’t bother going to the Carnegie unless you want to fork out $12 bucks just for the thrill of being there–You might as well just order something off the menu, have it wrapped and take it home for dinner. 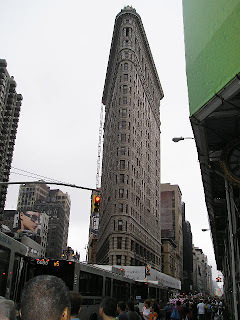 Just down the street to the right of the Flat Iron Building is the Cutting Room, the famous lounge owned by Chris Noth. I was able to see him working at the bar in ’05, but no such luck last year. I do have many more chances to get a sighting of him, so I’m still holding out hope to see him once again.